Representing the exciting Glasgow label Subfriction Records, Togo Fam is a new crew featuring a mix of veterans and up-and-comers. Editor Jonathan Rimmer reviews their debut record. (Side note: all revenue from the album is being donated to Drumchapel Food Bank). Crew albums aren't common in Scottish hip hop. Veterans in the scene will tell you it can be hard enough getting a couple of emcees to link up for verses, let alone several for a full length project. 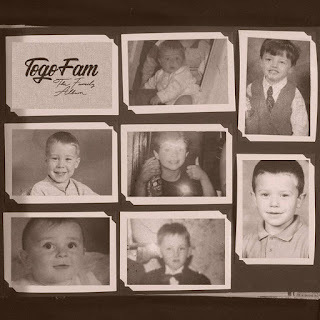 But, as their name suggests, Glasgow collective Togo Fam are a tight knit bunch with a unified sense of purpose. However, there's immediately a lot to get your head around. The crew is composed of seven members (or nine if you go by their updated Facebook page), variously described as rappers, producers and designers. There's a mix of experience in the form of Nity Gritz and names SSU is less familiar with such as Woze. The album is 87 minutes long at 29 tracks, with multiple skits and styles on show. On top of that, there are feature verse from Physiks, Ciaran Mac and others. Considering the number of heads in the group, you'd think they'd have a good editor. That said, they make use of the running time reasonably well. 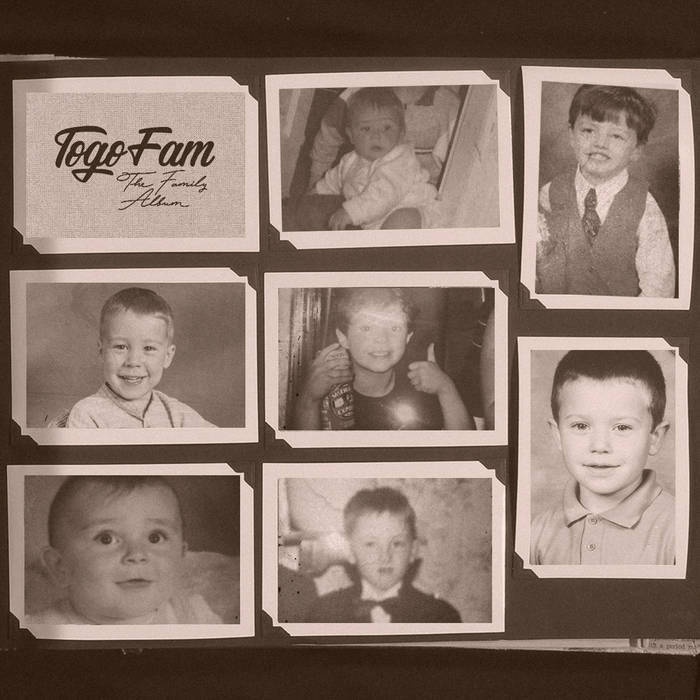 With crews this size it's easy for individual rappers to get lost amidst the web of similar accents and flows, but Togo Fam are discerning in how verses are distributed across the album. Each emcee has a moment to shine, adding colour and personality to each cut. For example, slick rhymer Big Shamu puts a marker down by steamrollering his way through early album highlight Heads Up. RDS accomplishes something similar on the track Charles Manson with his distinctive stream of multisyllabics. Combinations are important too: Kid Robotik's aggression and Orry Caren's more consciously monotone delivery make for a brilliant contrast on Prestige. Production-wise, it's harder to work out who to credit for what, but there is a clear split on the album between traditional piano-based boom bap loops and more trap-influenced beats. In principle there's nothing wrong with this, especially considering the sheer length of this LP, but the sequencing just feels off. In fact, the latter style isn't introduced until tracks eight and eleven (Zonin and Hatin), catching the listener off guard with tinny hi-hats and dramatic sub-bass. The emcees at least adjust accordingly, with Kid Robotik particularly adept at switching to a double time flow. But they're still unnecessary detours that would have fitted in more comfortably on a separate project. That's not to say the crew's more experimental moments aren't successful. Sampling dubstep legend Burial is considered heresy by some, but the track Movin pulls it off well. Too Many is another standout as guest emcees Spee 69 and Upfront spit venomously over syncopated brass, bringing back the album's momentum as it starts to drift. And there clearly are moments when 'The Family Album' does drift, partly because the crew are keen to pack as much into the record as they possibly can. Togo Fam's boundless creativity make that easy to forgive, especially considering the level of competency in the rhymes department. They could have trimmed more fat, but this is still a remarkably impressive showing.